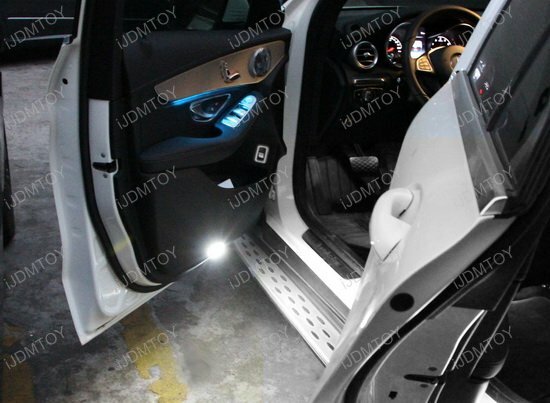 Q: What vehicle will these LED side door lights fit in? 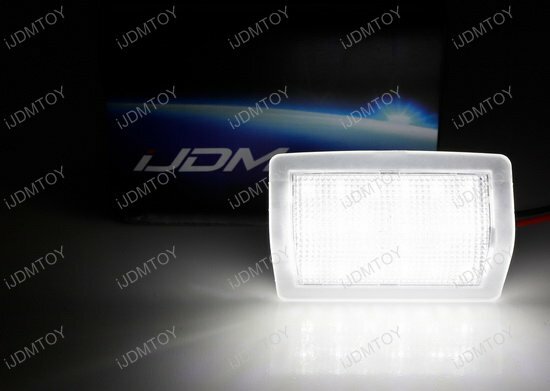 Q: What OEM part numbers do these LED side door lights replace? A: The clear lens LED side door courtesy lights replace OEM part numbers A0028201901 and A0008202503. Q: Are these LED courtesy lamps error-free? 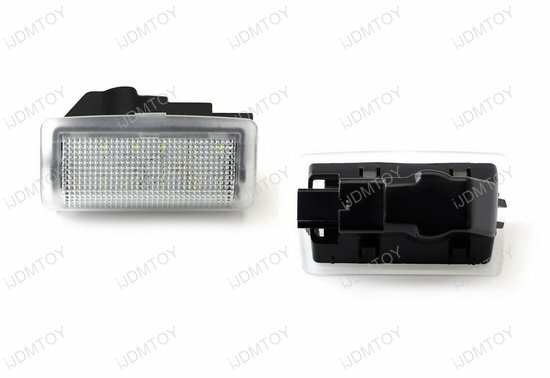 A: Yes, these LED side courtesy lights for your Mercedes are error-free because they come equipped with CANbus decoders. 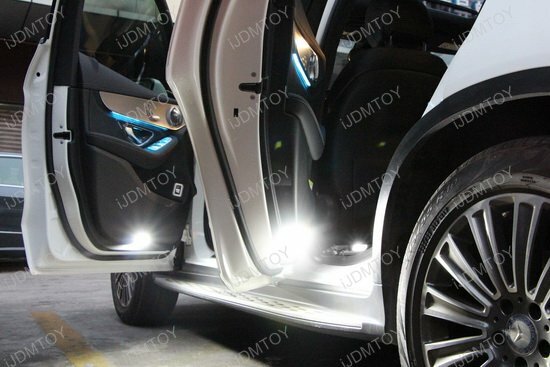 The LED side door lights will not trigger any bulb-out warnings. Q: Do I have to do any modifications for this to fit my Mercedes? 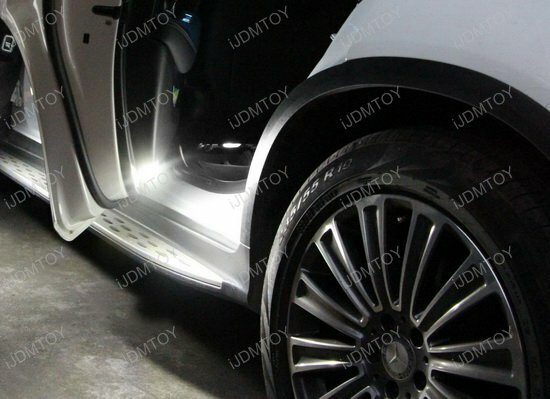 A: No, you will not have to modify anything to install these LED side door courtesy lights. 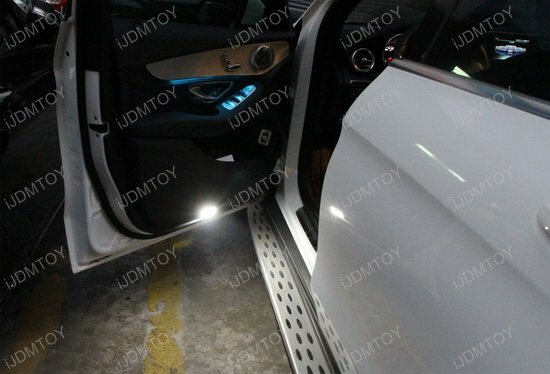 Q: Are these LED side door courtesy lights plug and play? A: Yes, installing the white LED courtesy lights is a simple plug and play process. A: SMD LED stands for surface mount LED, which is a diode that is mounted onto and soldered onto a circuit board. 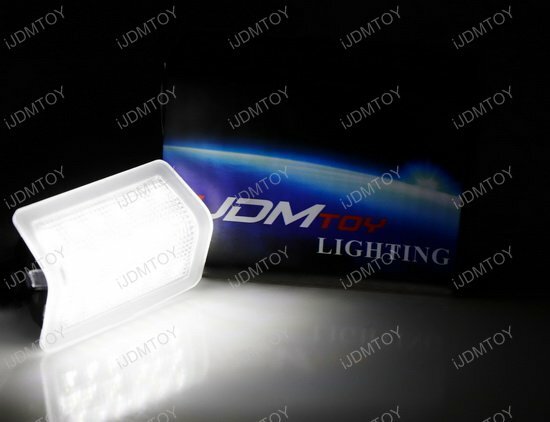 It has a wide viewing angle which means it can shine more light over a bigger area. 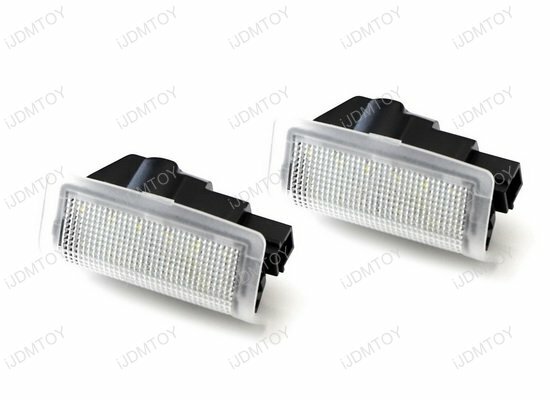 SMD LEDs are really small, give off less heat, and requires less voltage. This means your LED courtesy light shines brighter than your stock side door lamps for longer. Luxury is all in the minor details, down to the smallest light. So if you truly want to step in or out of the lap of luxury, upgrade your door lights with the pair of LED side door courtesy lights! Each side door LED courtesy lamp is powered by an 18-piece LED chipset which is housed by a full clear lens that will fit flush against your lower side door. Equipped with a CAN-bus controller, your Mercedes' dashboard computer will not display bulb-out error messages, sparing you the headache of any troubleshooting. 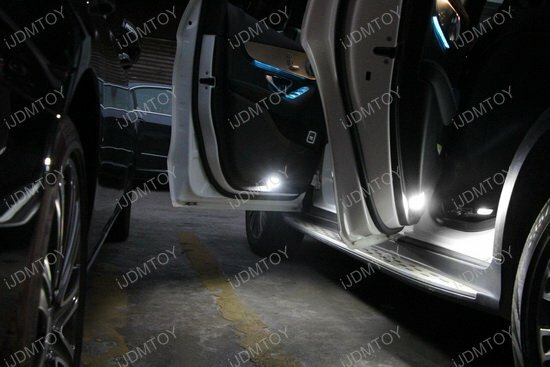 Installation is simple; simply pry out your stock courtesy lights (OEM part# A0028201901 A0008202503) and directly replace them with the full LED side door courtesy lamps. With the white LED side door courtesy lamps, your Mercedes-Benz will have a touch of luxury in every corner of its interior!